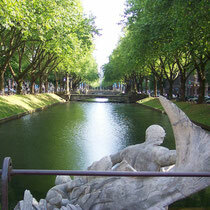 Düsseldorf, the capital of the federal state North Rhine Westphalia, is a town for business, leisure and shopping activities, located in the Rhine area. The new modern highlight is the Media Harbor with its contemporary architecture which was shaped by many internally renowned architects like Frank Gehry or Helmut Jahn. 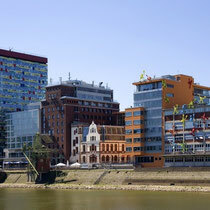 The city is easily to reach via its international airport north of the city center which the 3rd largest in Germany, via the central train station and via the closely-woven autobahn network of North Rhine Westphalia. 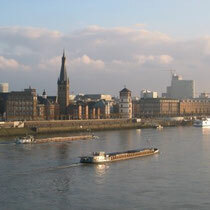 Düsseldorf has a high significance as a destination for trade fairs because many internationally important trade fairs take place here throughout the year. Examples are: The „boot‟ (for boating and water sports) or the „Drupa‟ (for print media, publishing & converting). 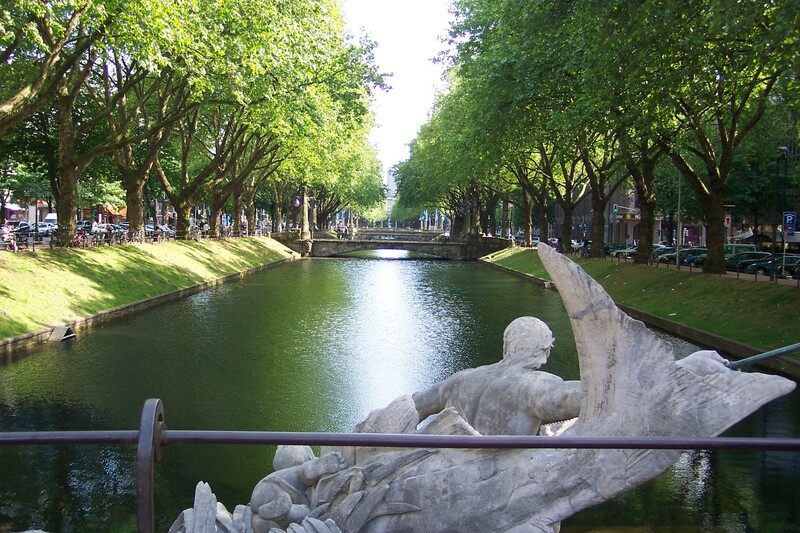 One cannot visit Düsseldorf without having seen the internationally well-know shopping boulevard Königsallee (which the locals just call "Kö"). Many exclusive shops and passages can be found here as can most of the known goldsmiths, clothing brands and galleries. 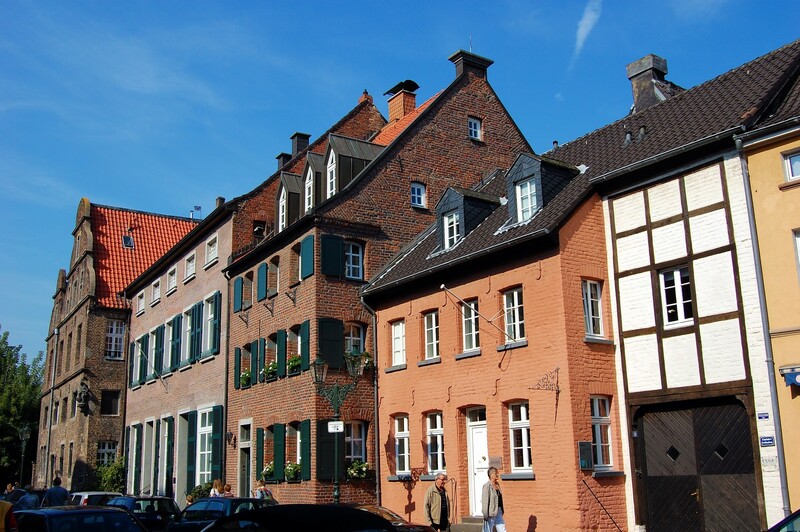 A short walk through the famous "Altstadt" (Old Town), which is a pedestrian area, is also obligatory for visitors - Düsseldorf's old city centre is also called "the world's longest bar" with more than 260 pubs and restaurants. Here it is possible to taste "Altbier" in one of the many brewery restaurants. This is a special kind of beer which is typical for the city. 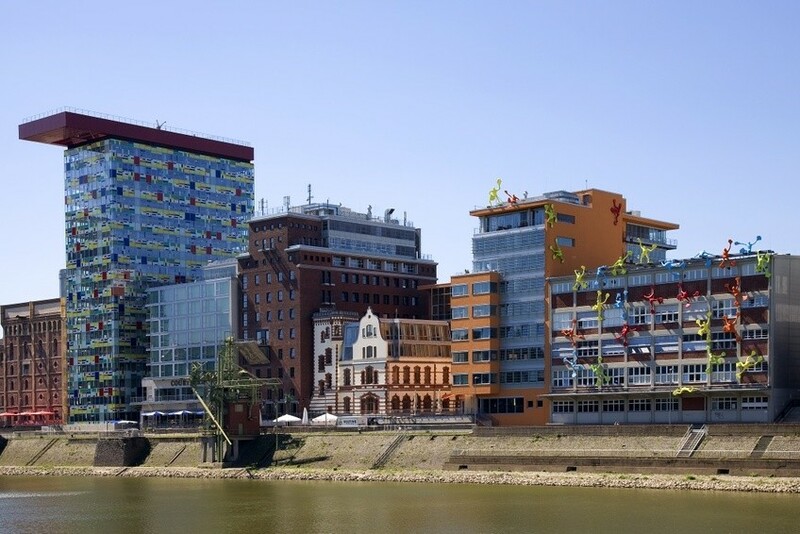 The modern Düsseldorf can be experienced in the Media Harbour where many companies from the media and advertising business have their offices and a collection of restaurants, bars, discotheques and clubs provide for an active nightlife. Alongside the “Altbier”, one can taste typically Rhenish specialties like “Halve Hahn” which is a very mature cheese with bread or “Röggelchen mit Flöns”, a rye bread with blood pudding. 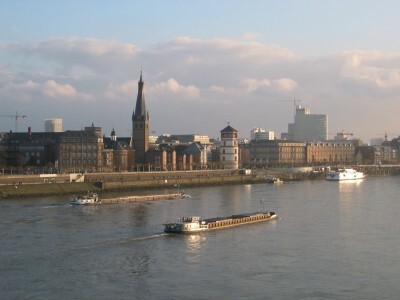 The Düsseldorf carnival is part of the traditional carnival festivities in the Rhineland and is celebrated with a huge parade on “Rosenmontag” (Rose Monday). 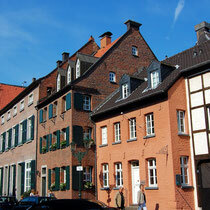 Other major places at which the Rhineland carnival is celebrated are neighboring Cologne and Mainz (close to Frankfurt).